The significance of numbers « You know… that Blog? I’ve been twirling this post around in my head for a long time now, but haven’t really put it into words because I’m simply unsure where to begin! Do you have a number or series of numbers that holds significance in your life? For some that might mean “Lucky number 7!” but it seems broader than that, for some reason. More significant. For ShaMoo, I know her number is 22. It’s a recurring number in her life, and appears in all sorts of odd places. Her birth date, for one, and her music folder number in our big group, for another… and many many other dates and places too (which she’s told me but… I forgot. Sorry ShaMoo) Random? Sure doesn’t seem that way. For me, it’s a time. 12:34 to be exact. A moment of significance. Not always great significance, mind you! Sometimes it’s 12:34am, and I glance at the bedside clock as I finally sigh away the tension of the day and lay my head on the pillow. 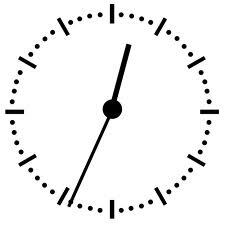 Often it’s 12:34pm, and someone who is very meaningful in my life sends me a text, face book message, or email. Sometimes I get a phone call. Or perhaps I get one of those messages that includes something I’ve been waiting for, or news I need to hear. Not always good, but usually not bad. An example of that was an email that J-B send yesterday at 12:34pm, which was confirming a meeting of the minds last night. As it turns out, it was significant, and it was good. It got me thinking about the number again, too. Usually I have a “huh, that’s so weird” moment, and then dismiss it. I’ve also had occasions where I’ll suddenly think of something I’d forgotten to do, and it’s at exactly 12:34 when it occurs to me. Usually it’s in the nick of time to get it done, too! So if it is significant, why is it significant? Is it a programmed or biological alarm clock in my head? Maybe… not sure. Can’t be when I’m receiving these things from extraneous sources though. High level coincidence? I’m sure that plays a part. Is it simply that I notice it because it has happened a few times before, and it only SEEMS significant? Like when you purchase a vehicle you hadn’t really noticed on the road before, and suddenly it seems like they’re everywhere. Probably. I mean, it happens twice a day, right? 12:34, that is. That I see it often at night could simply mean that I’m not getting enough sleep (we already knew that though, didn’t we!). I’m aware that some will draw religious connotation from that, and that there are biblical references to it, but most of you know where I stand on that, and I’m not going there. In my case that certainly wouldn’t apply anyway! It’s also a reference to smoking pot, as I’ve come to find out in my research… also something that doesn’t apply to me! Do you have a number that seems to pop up more often than others in your life? What is it, and what sorts of things happen when it appears? You know what? I like it. I think I’ve also laid claim to it. So maybe I’ll just think of it as my personal number, without over thinking it (well, past this post, anyway). I’m willing to bet that when you see that time on your clock from now on, you’ll think of me. Go ahead and try not to. My number is 0001. With three zeros preceding the 1. Of course it is, T ;) And I shall forever think of you when I see that occur! I WILL think of you Jenn! :) I can´t say I have a number to claim mine, but this was very interesting. I really can’t think of any number that is significant to me. I like the number 15. Maybe it was the best year of my life? Who knows. But the number definitely ain’t 50.
p.s. 10 points for you! A Kardashian arse it is (or so the hollywood hounding website said). 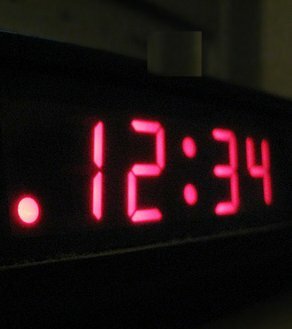 Hey, I just looked down at my computer clock and it says 11:34…. hmmm? For me, good things have often come in 13’s. I think at some point something of significance happens and we associate a number with it and then in the future we notice that number more often than any other. No significant number for me, but – without a doubt – that I am posting this at 11:02 is pregnant with meaning. Or — I could be a minute off . . .
if you really are curious you may read some posts about numerology. i love reading such things and they are great fun if you can read them with open mind.